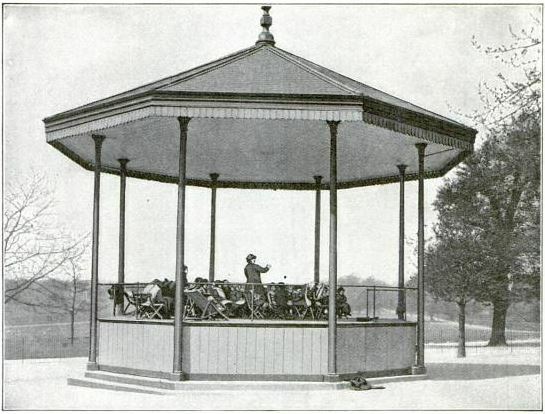 The Regent’s Park Bandstand School was run from the St Marylebone Dispensary for the Prevention of Consumption. Dr Sutherland described it in this excerpt from “Arches of the Years”. The greatest romance which London ever gave me was the Romance of the Bandstand School in Regent’s Park. From 1910 to 1929, in all weathers, a teacher led groups of children in Regent’s Park to give them lessons in the bandstand near the Zoo. She was Mrs.Fitzgerald of the Regent’s Park Bandstand School which ceased to be at the end of December 1929. And the closing of that school was the end of a romance. In 1910, with the aid of friends and the St. Marylebone Tuberculosis Dispensary, I sought to found an open-air school on simple lines in a London park. A small meeting was held, at which the parents of a few children predisposed to tuberculosis were present. The parents were told that as they were living under poor and overcrowded conditions, their children would have a better chance if their days were spent in Regent’s Park. They would have to provide their children with dinner to be eaten in the park, and also contribute sixpence a week towards the services of a nursemaid, a girl of sixteen. The children were to be brought to the dispensary at nine o’clock a.m. and taken home in the afternoon. And thus the school started with ten children, whose only shelter during the day was a tree in the park. Temperatures were taken in the morning and afternoon, and the children were weighed and examined once a week. As the children were of school-age, the school could not have started had not Dr. C.J. Thomas, then School Medical Officer of Marylebone, accepted medical certificates from me that the children’s health would be prejudiced by attendance at an ordinary school. There was also some opposition, and one elderly physician wrote to the local paper pointing out that the children would all die of pneumonia, and that the proper authority to deal with the scheme was the Society for the Prevention of Cruelty to Children. In point of fact, even when there were fifty children at the school there was never a case of pneumonia, and none of infectious fevers. Our first difficulty was the nursemaid. One day on entering the park I found fifteen instead of ten children. The extra five were unknown to me. The maid of sixteen had been offering pennies to healthy children attending Council Schools to induce them to come to the park in the hope that her salary would increase by so many sixpences. 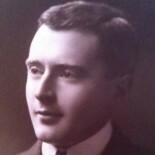 It was then that Sir Frank Morris, Chairman of the Charity Organisation Society, provided money whereby a certified teacher could be obtained for a period of three months, so that the idea might be given a fair test. Next morning the children took possession. Having served its day and generation the Bandstand School came to an end. As to this there could be no regrets, except those which were personal, because the idea it embodied is not universally approved, and larger and better open-air schools are provided by the public authorities. This entry was posted on 11 May 2014 by markhsutherland in Regent's Park, Tuberculosis.